Photo courtesy Sonoma Speed Festival. For the better part of three decades, the Duke of Richmond over in England has seemingly set the template for high-end vintage race festivals with the Goodwood Revival and the Goodwood Festival of Speed. 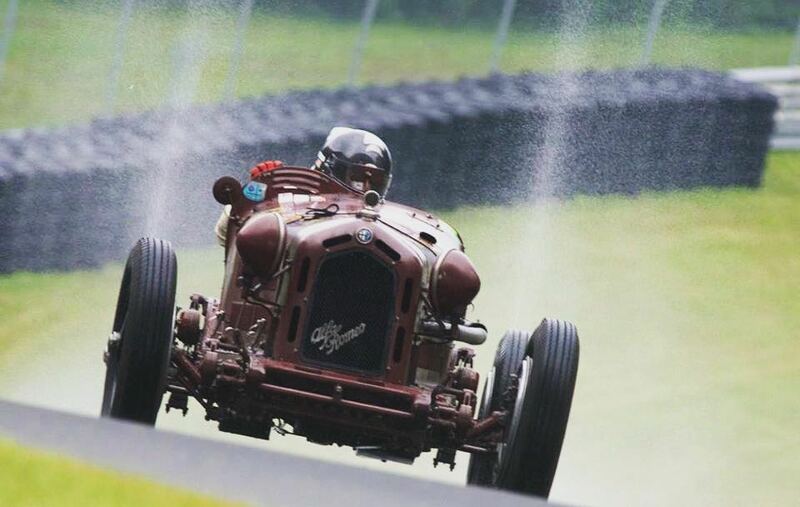 So it’s little surprise that a group of vintage racing enthusiasts aim to bring a similar high-end vintage motorsports festival — though one with a decidedly American flavor — to the United States with next month’s inaugural Sonoma Speed Festival. That track, Sonoma Raceway, ran its first race, an SCCA Enduro, in December 1968 under the name Sears Point Raceway. From the get-go, the 720-acre site hosted a number of different forms of motorsports, from drag racing on the front straightaway of the 2.52-mile road course to IndyCar to Trans-Am. The latter ended up a one-year-only event in 1969, the track’s first full season; after the track’s founders sold it in 1970, it passed through a few different hands and closed for a few years during the Seventies. Since then, the track has attracted national-level NHRA, NASCAR, and even Trans-Am events. While the Sonoma Historic Motorsports Festival had previously occupied the Memorial Day weekend at Sears Point/Sonoma, Jeff O’Neill, a Northern California winery owner, has taken on the effort to rebrand that event into the Sonoma Speed Festival as part of the track’s 50th anniversary celebrations. To do so, he’s tapped Steve Earle, the founder of the Monterey Historics, as a senior consultant; Dan Radowicz, an organizer for the California Mille, as race director; and Tim Pendergast, director of operations for the Amelia Island Concours, as race director. According to press materials, all racing groups at the Sonoma Speed Festival will be curated from unmodified vehicles with documented racing history. “It’s important that people can see cars with significant history being driven, raced and displayed,” the organizers of the festival note. In addition to the on-track action, the paddocks will also be open for inspection of the participating vehicles. Among those racing groups are classes dedicated to FIA manufacturers championship cars from 1964 to 1973, prewar grand prix cars, IMSA Camel GT cars from 1971 to 1980, and historic Trans-Am cars from 1966 to 1972. In addition, the festival will include vintage dragster demonstration runs as well as a RADwood show-within-a-show. The Sonoma Speed Festival will take place May 30 to June 2. For more information, visit SonomaSpeedFestival.com.